Young mother-of-four Carolyn Hicks from Enniskillen died shortly before Christmas last. She was laid to rest at Cross Cemetery. Over the past six weeks, however, wreaths and other items left on her grave by her family have been going missing. Her aunt, Catherine Adamson-Mercer, has appealed to whoever is taking the items to think of Carolyn’s young children and the rest of their family, who are very upset at what has been happening. 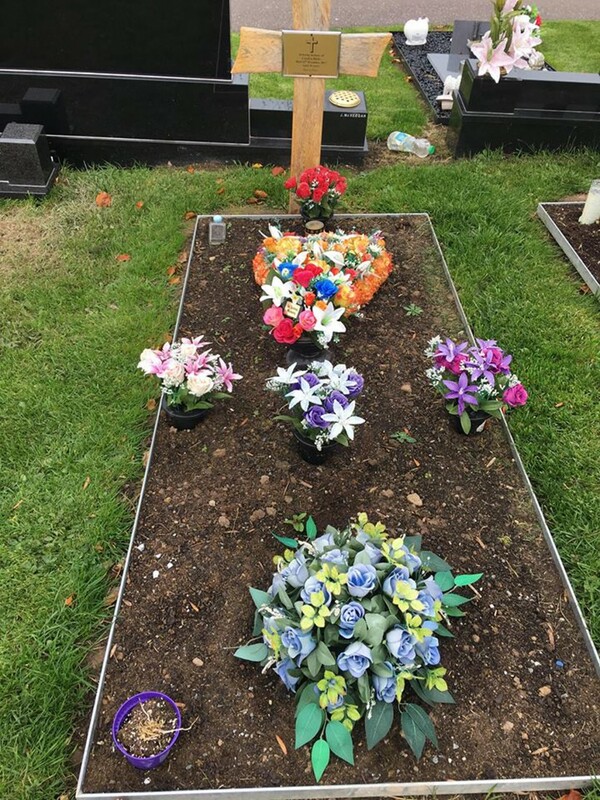 “If it was a one off, that would be one thing, but it isn’t,” she added, explaining it had been happening more often since the Blessing of the Graves in September. Catherine said she was certain the items had not been blown away by the wind. As for contacting the police, Catherine said while they had suspicions on who may be taking the items, they were not sure. “What can the police really do? Especially when you don’t know who is doing it. It could be just kids going up and doing it,” she said.